This Healthy Minestrone is just so especially good on cold days. It is filling, simple to make and satisfies even the hungriest at the table. Best of all it is nutrient rich and provides many essential vitamins and minerals. Wash and rinse vegetables thoroughly. The amount of seasonings will vary based on how tasty your Spaghetti Sauce is. 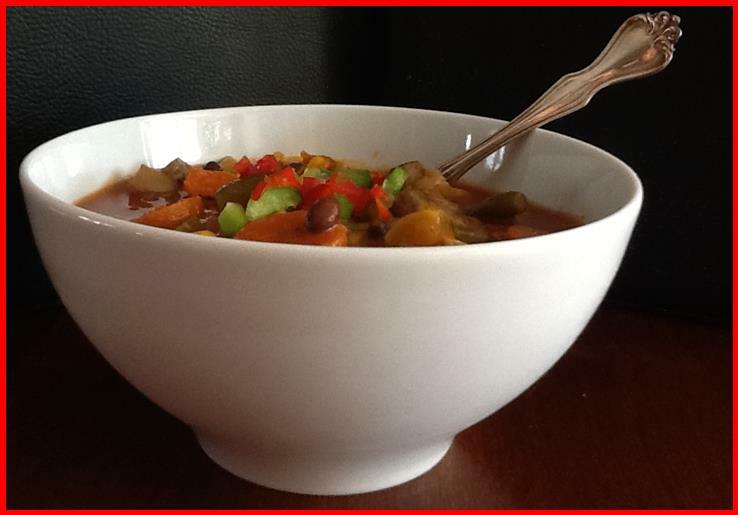 Once your vegetables are prepared, spray a large soup pan with non-stick spray (or use a good quality non-stick pan.) Spray it with good Olive Oil and turn heat to high. Place Carrots, Celery and Onion in hot pan and turn heat down immediately to Medium-High. Stir the mixture gently and continuously until the Carrots begin to soften a bit. It is important that you keep a steady watch on these vegetables so they don't burn. Turn heat down to Medium and add the remaining Vegetables and Beans. Cook for five more minutes. Now add the Broth and turn heat back up until it comes to a boil, then turn down to a rapid simmer. Serve with a crusty bread and a salad to make your Healthy Minestrone a complete meal! *We think the addition of Beans (Garbanzo and Kidney) makes it an even heartier dish. 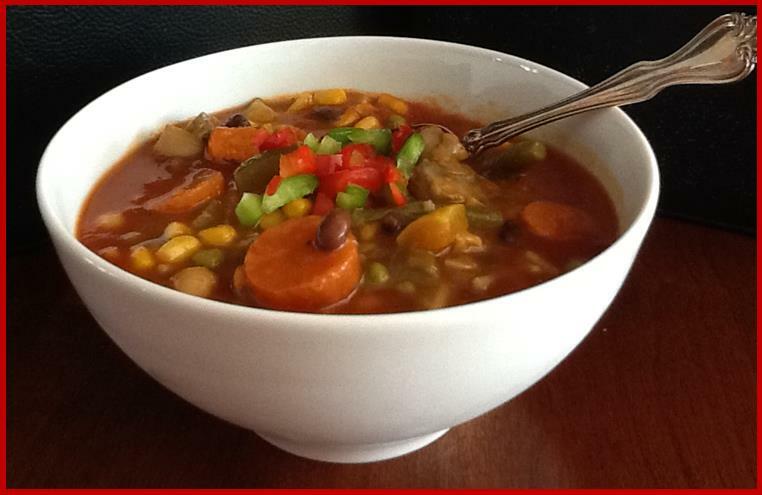 **Bean Broth is what we save when we cook our dried beans.